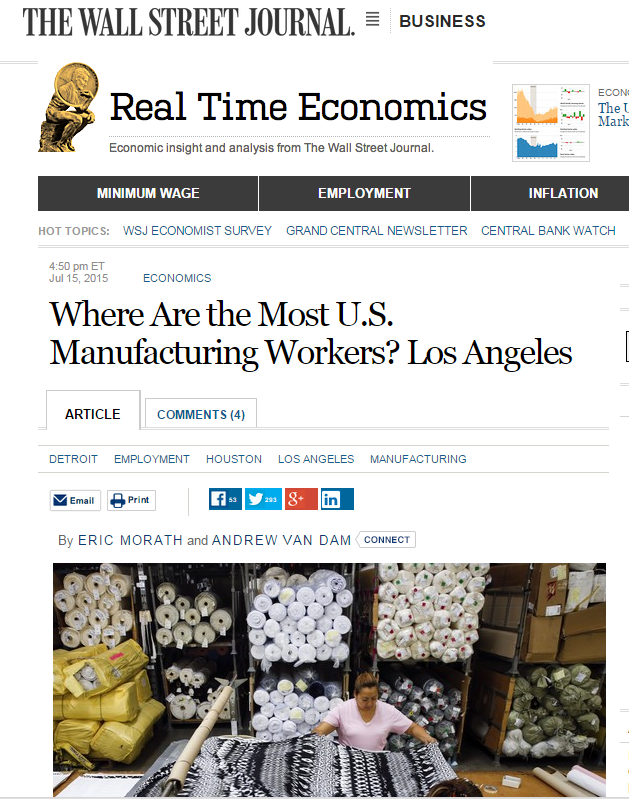 According to a The Wall Street Journal Article the Los Angeles metro area has the most manufacturing workers in the country. 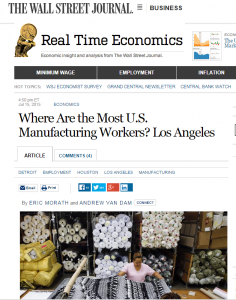 While the number of manufacturing workers in Los Angeles and nationwide has plummeted from 25 years ago, the community has maintained its leadership position. There are about 524,000 manufacturing workers in the region, well above 409,000 in Chicago and 368,000 in New York, according to the Labor Department.